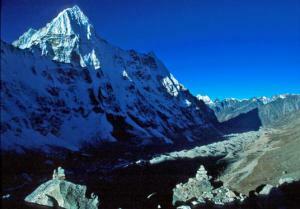 Expeditions in Nepal. Mt. Pumari Expeditions. Mt. 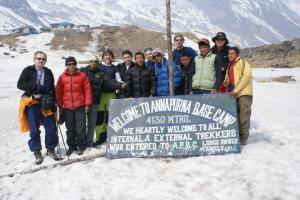 Para Adventure & Expedition Pvt. Ltd.
Mt. Pumori is one of the most popular and delightful mountain which is situated in the Northwest part of Nepal at Khumbu Region. This is a moderate technical pyramid snow and rock mountain for climbing. 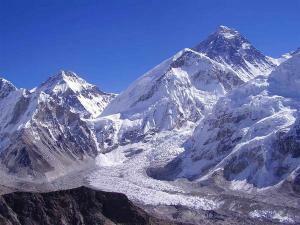 Generally three camps are set in the approach above the base camp for climbing. Our normal route is classic South-East Ridge for climbing. The summit from Pumori provides excellent photography views of snowy mountains which will be a great perception for mountaineers. Our main mission is to lead the way for the best possible chance for success but adventure is one step beyond your expectation. 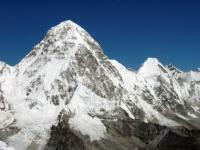 Pumori is a one of serious expedition peak designed only for experienced climbers. The trip starts from Lukla after flight from Kathmandu and reach to Pumori base camp toward Dudhkoshi River. Day 06: Namche rest for acclimatization. Day 11-29: Climbing Period for Pumori 7161m. Day 30: Clean up BC & trek back to Pangboche 3985m. Day 31: Pangboche – Namche Bazaar. Day 32: Namche – Lukla and transfer to Teahouse Lodge. Day 33: Lukla – Kathmandu by flight and transfer to Hotel. © Mt. Para Adventure & Expedition P. Ltd., 2019. All rights Reserved.